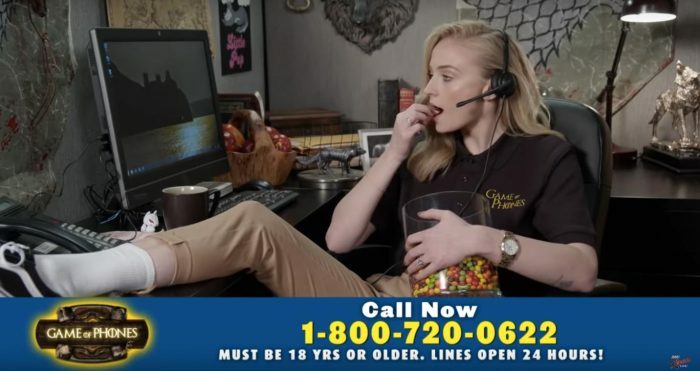 In this edition, Game of Thrones cast members help people remember details from past seasons through a helpful new hotline. Plus, a lawyer breaks down how realistic courtroom scenes from famous TV shows and movies like The Good Wife and Liar Liar, and John Wick star Keanu Reeves gives you a tour of his most prized motorcycles, putting your Funko POPs to shame. First up, Jimmy Kimmel Live! brought in some cast members from Game of Thrones, such as Sophie Turner and Maisie Williams, to be part of their Game of Phones hotline. They’ll answer any questions about the show’s past season that you might be confused about, but they might not always give the best answers. Next up, Wired had Lucy Lang, Executive Director at Institute For Innovation In Prosecution at John Jay College of Criminal Justice, take a look at courtroom scenes from famous TV shows and movies to break down how accurate they really are. As you’ll see, a lot of courtroom procedure and rules are broken to make the legal drama that much more dramatic. Finally, before you see him fighting people with swords on motorcycles in John Wick: Chapter 3 – Parabellum this year, let Keanu Reeves show off his most prized motorcycles at GQ. Reeves owns his own shop, Arch Motorcycle, which is where he showed off his green Ducati from The Matrix Reloaded, his custom built Arch motorcycles, and more.